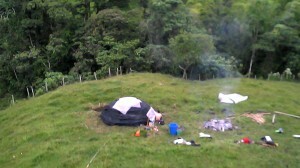 Santa Rosa de Cabal-Risaralda. Colombia. – Ancient and contemporary technologies. 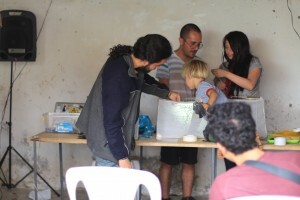 Workshop to built inexpensive binaural microphones, the workshop lasts about an hour and a half, and the there is another workshop on basic circuit bending, hacking abandoned toys. Colectivo Senderos para Sanar (Col-Esp). 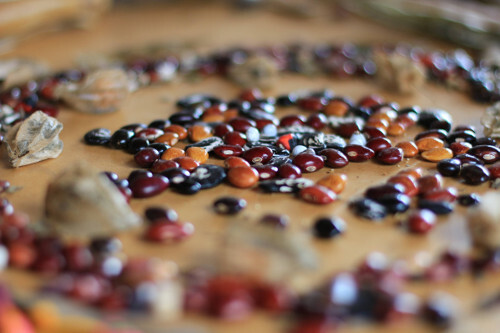 We want to provide a space where attendees can ask questions about your physical and spiritual health and receive natural therapies; also, participants can be part a Yagé ceremony scheduled for one evening. 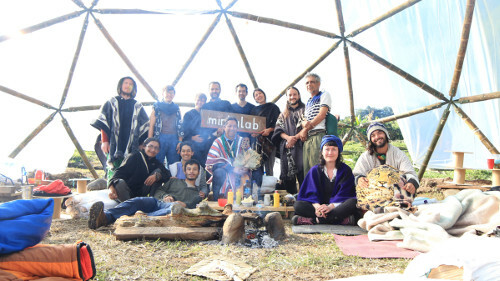 Moreover we propose the following topics to talk about: On the Node Autonomy-Sustainability: Artisanal Economy: An approach to the economy of nature and the healing that comes when we connect with it. It is a universal vision of the economy where moral or political criteria are left behind and we try to understand the economy as an exchange of energy, where all flows of energy have a place and are in harmony when they find their place. 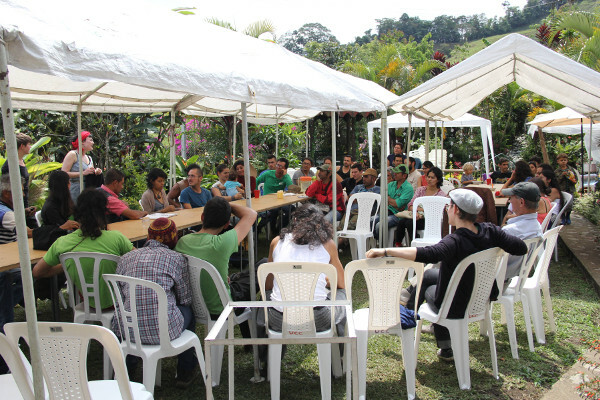 “Love can not be bought with money and land can not be appropriated with war.” Organized by Ibán de la Mountaña. 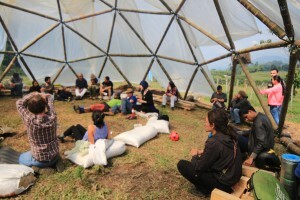 On the nodes on ancestral and contemporary technologies, Spirituality-materiality, subjectivity-objectivity, Yohana Granada and Nidya Granada offer a workshop on “Self-Healing”, based on psychology and traditional Chinese medicine. 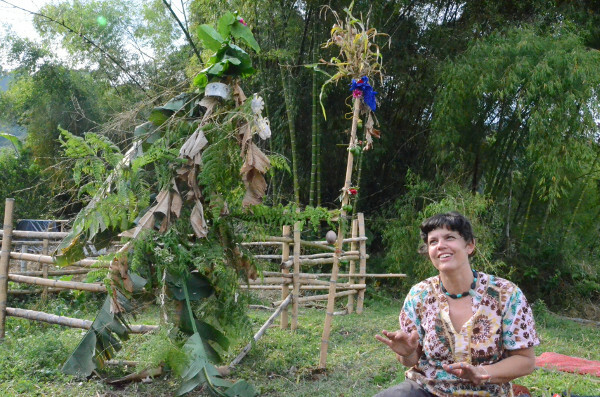 On the node of Sustainability, Johana Correa offers a talk to share her experience and knowledge about permaculture, ecovillage and alternative livelihoods. 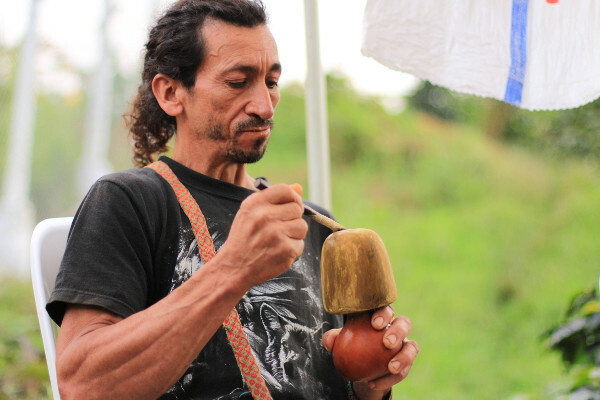 Sharing Yagé Ceremony: The Taita Camilo Jamioy, from the Indigenous group Camentsá in the Putumayo region, will offer his wisdom and energy in an ancient medicine ceremony. As this ceremony will take place over the night and in order to not interfere with the other workshops in the morning, we propose to do this ceremony the last day. Estratósfera Colectivo Visual (Col). 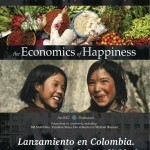 (Sebastian Gonzalez, Juan Sebastian Urrea). 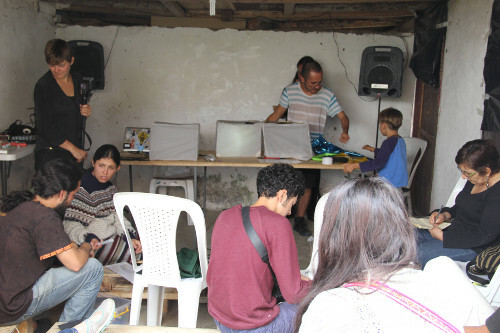 The workshop aims to create an approach to audiovisual narratives through analog means, for which we will use the “shadow theater technique,” which is an optical illusion where objects are interposed between a light source and a screen, in this case a piece of cloth. These objects are characters that move into a stage and tell a story, so it is necessary to know basic elements of audiovisual narrative to built histories, the scripts and understand the language of images. 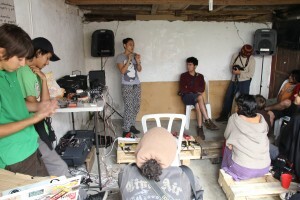 Such knowledge will be the ones to work and develop within the workshop taking as starting point the collective imagination around the culture of the village. Upon completion of the exercise, we proceed with the exhibition of the work in a public area of the municipality through digital technology mapping, which is the projection of large scale images and video of three-dimensional elements such as buildings, volumes, furniture. This assembly will be done by the workshop and is intended to show participants a look and interpretation of the event “Memory Shadows” on its territory. The materials are recycled materials, scissors, knife and pencils. 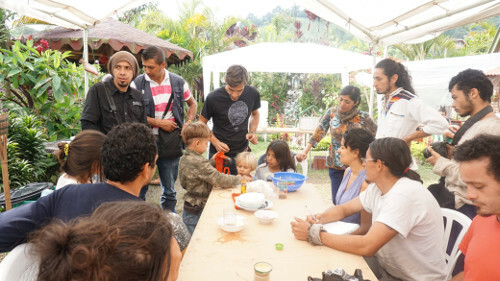 The participants can be of any age with a maximum capacity of 15 people. An estimated time for the workshop is two days of 4 hours each. 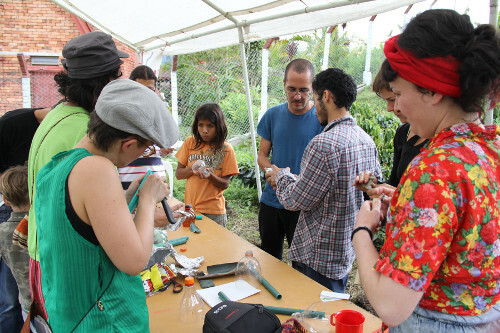 Workshop RECLISONANDO – is an activity through which recyclable materials we build musical instruments including pitillofono and the Buvuzela. Jefry Moncada Taborda (Col). 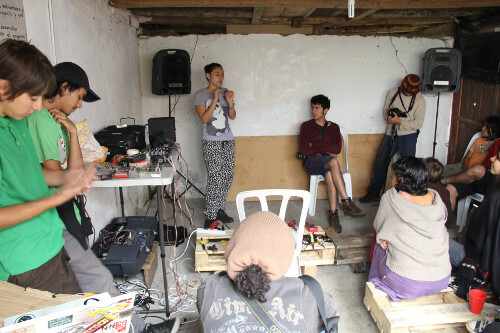 Proyecto Alternativo Tabanoc. 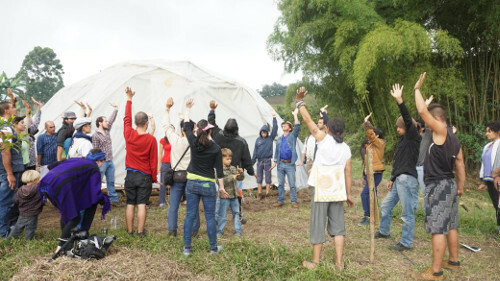 Spirituality-temazcali-is a ceremony where we will have the opportunity to unify with the ancient wisdom that our grandmothers, the stones have. The hot stones are taken inside a tent in order to free our minds and bodies and being able to recognize our existence on the earth, understanding the union with the elements of water, fire, air, earth and love. The ceremony lasts about 2h 30 min, can be at night or in the day, the max number of participants is 30 people, we can do two ceremonies within the 3 days. 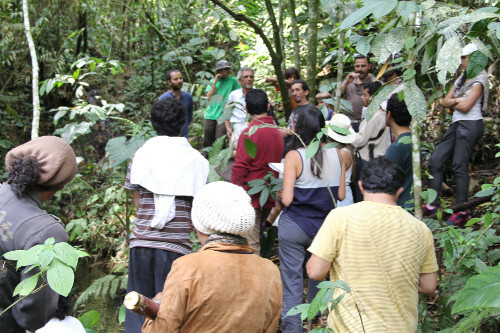 Selvatorium is a permanent laboratory and a festival. 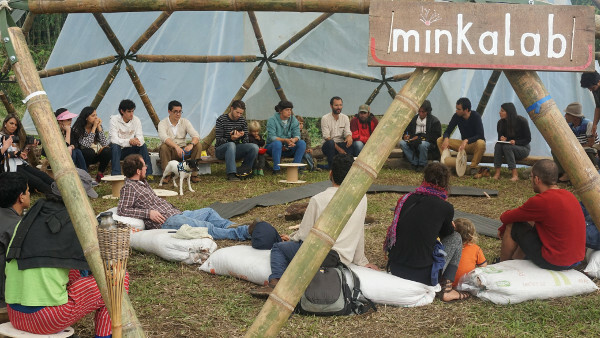 We propose to conduct this meeting in the mountains, away from cities, to promote what we call “positive displacement”, ie, a social movement from the cities to the countryside. We understand that cities are overcrowded and do not represent an exact model of long-term sustainable living. 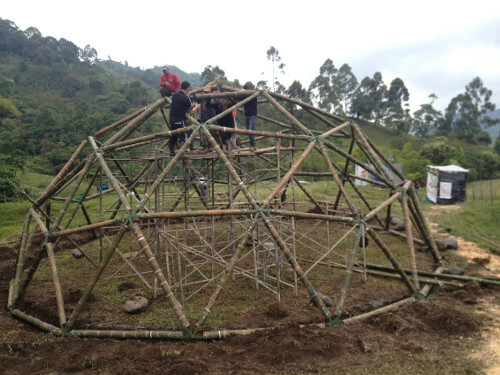 Possible construction of mini eco-house for children with materials available in the region. 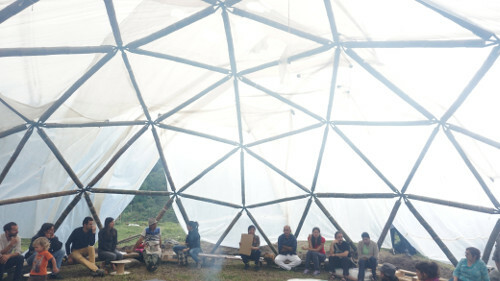 El arquitecto Aaron Paul Brakke junto con el artesano Oscar Ospina lideraron la construcción de una Maloka geodésica que es el espacio para los encuentros minkalab y comunidades. 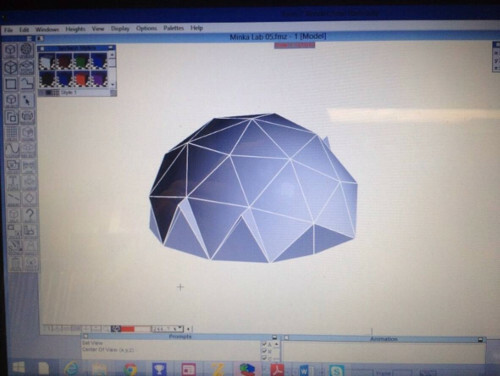 El nos dará una charla sobre la construcción de la Maloka y conceptos de domos geodésicos. 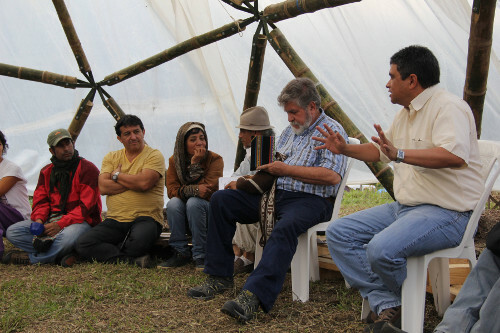 Gilberto Bedoya es el director de la UMATA Santa Rosa de Cabal (Unidad Municipal de Asistencia Técnica Agropecuaria). 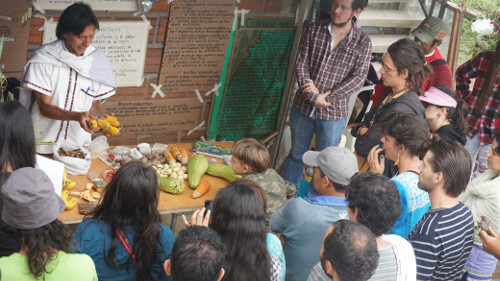 Será parte de un panel sobre seguridad alimentaria y agricultura. 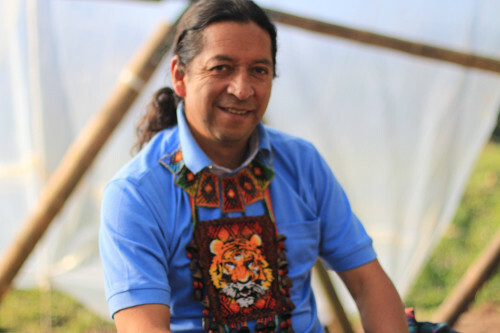 Profesor de Ciencias Ambientales de la Universidad Tecnológica de Pereira y gran reconicido lider ambientalista. 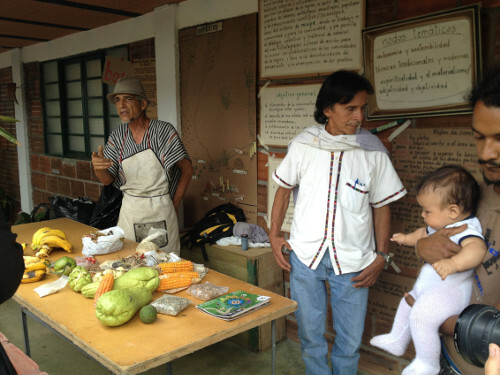 Será parte de un panel sobre seguridad alimentaria y agricultura. 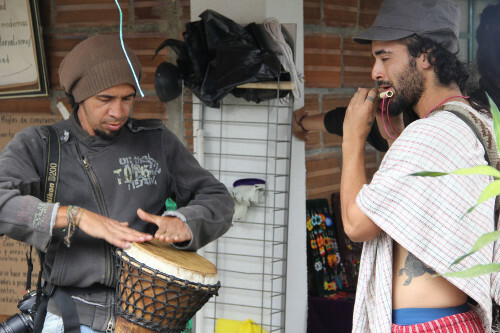 A través de un taller y varias presentaciones el Grupo Serranía nos llevarán por la historia musical de Colombia, su fusión, ritmos y danzas. 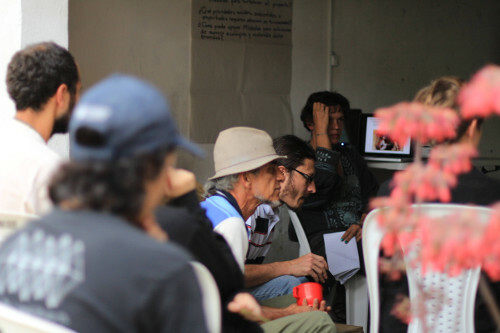 La USF es un proceso permanente de búsqueda y construcción de alternativa de saberes y conocimientos. Un espacio propositivo de integración y de reflexión, para el debate democrático de ideas, el desarrollo de propuestas, establecer intercambio de experiencias y articular acciones exitosas con relación a los cinco temas motivadores (agua, integración, pobreza, movilidad y amazonia y ecosistemas vitales) sobre el horizonte de fortalecer la integración y la solidaridad de los pueblos que nos conduzcan a un modelo endógeno hacia el Buen Vivir. 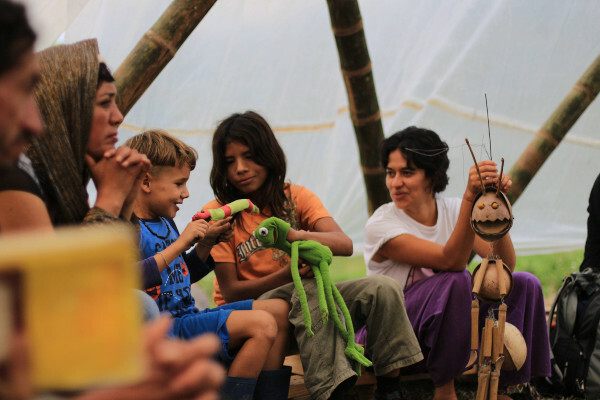 Charla – sobre manejo de Residuos Solidos Rurales, creando conciencia ecologica y de limpieza a la naturaleza frente a la comunidad, para el uso responsable de los recursos naturales en solidaridad con las generaciones actuales y futuras aplicando actitudes y valores ambientales que fortalezcan la cultura de la recoleccion y clasificacion de los residuos desde la fuente, que propendan por un manejo adecuado del material residual solido, contribuyendo con su reforestacion en busca de una conservacion de nuestras fuentes hidricas y en la proteccion de su entorno en el cual habitamos. Las bolsas que mandanos fabricar fueron cocidos por una costurera de santa rosa de cabal con tela crudo (100% algodón). Los minkabags deberian de entenderse como compañeros del cotidiano para trabsportar las compras y asi lograr dejar de usar bolsas plásticas. Estos bolsas sirven también como medio de comunicación para impulsar el regreso a una practica tradicional que son las bolsas reutilizables. Las bolsas de plastico que recibimos en las tiendas son utilisados por solamente unos minutos yluego se vuelven basura. Estamos experimentando con tintas naturales para escribir y crear diseños unicos para cada bolsa. 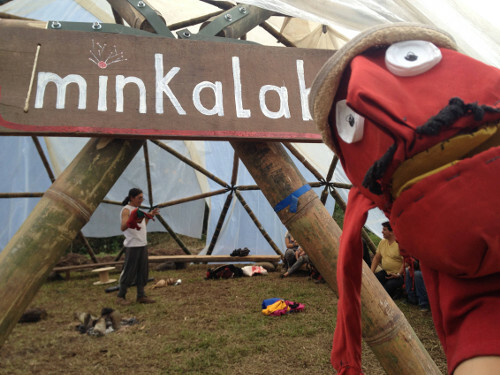 Los minkabags han sido creados para servir de recuerdo del minkalab y para olvidas el plastico! 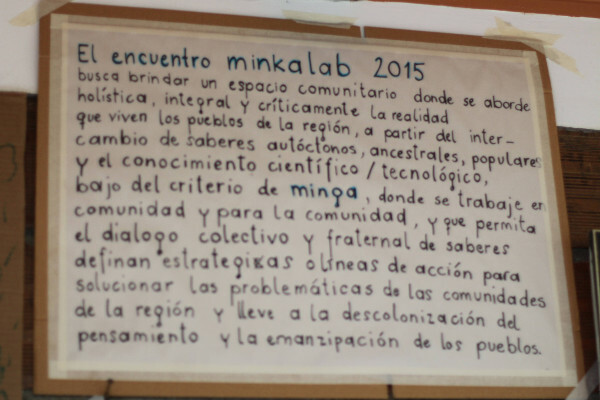 Adicional al taller „minkabag“ hicimos entrevistas con diferentes participantes del minkalab con los cuestiónes: como defines el consumo? / cuales son tus criterios cuando haces compras – alimentos – ropa – electronicos? / miras primero enn el precio o en la cualidad? / Dónde compras? : supermercado o mercado? / que significa para ti consumir de manera sustenible y responsable? / cual es tu relación con los productos de los grande marcos? / con que productos te associas? / como es la relación de tus alrededores con consumo? / que podrias hacer para reducir tu basura? / como es la situación donde vives? 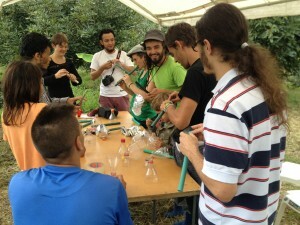 Hay reciclajes? / sabes donde puedes encontrar informaciónes sobre la cuestión de basura? / cual sería tu ideal consumo en el futuro?